for $375,000. This 1,971 square foot home was built in 1957 on a lot size of 0.1552 Acre(s). 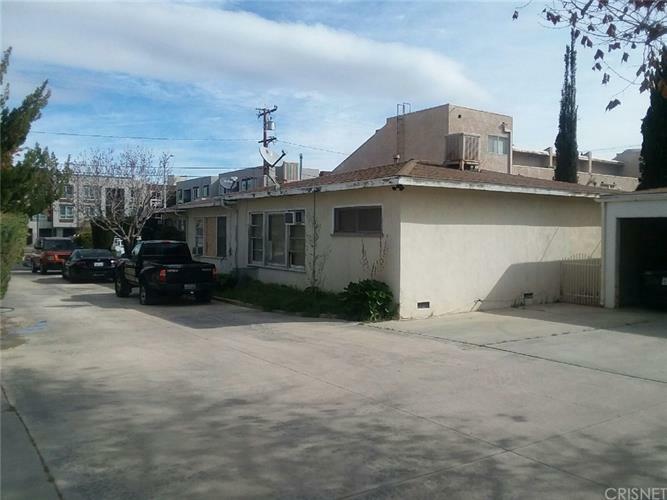 This fully rented triplex has renters enjoy being in the heart of Palmdale's downtown multi-family community. This property is in a great location that is close to shopping, Metro-link and the freeway. The units feature; (1) 1 bedroom/1 bath and (2) 2 bedrooms/1 bath. Unit 1 is recently remodeled, newer paint with new floors, light fixtures and Corian kitchen counters. The single bedroom includes a generous closet and built-in drawers; a full bathroom and laundry area complete the apartment. The other two units each offer two bedrooms and one full bath as well as the similar amenities as the first unit. A detached building houses single car garage spaces for each of the three units. DRIVE BY ONLY. Do not disturb tenants. Write an offer subject to interior inspection. Inspection will be after accepted offer. Property sold as is. Buyer to investigate and complete their own due diligence. Submit all offers to: co-listing agent. Include proof of funds / preapproval letter.